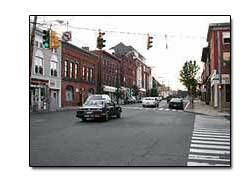 These are photos of the main street in downtown Shelton CT called, "Howe Avenue." 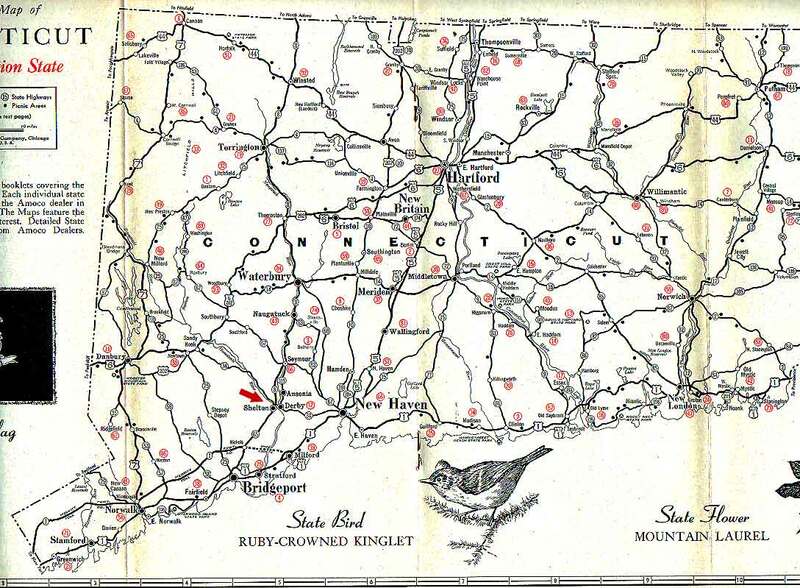 It is named after Dr. John Ireland Howe who moved here from New York and was a great inventor. 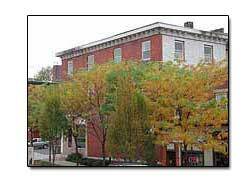 The workers of the old factories lived on the upper floors of these buildings that were built at the time of the Industrial Revolution which started in the 1860's, mainly after the Civil War. 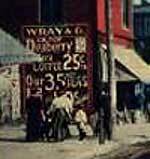 The buildings that lined downtown Howe Avenue during the 1800's had little street-front stores. 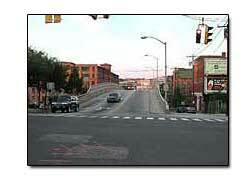 This intersection in the center of downtown Shelton is called Viaduct Square. 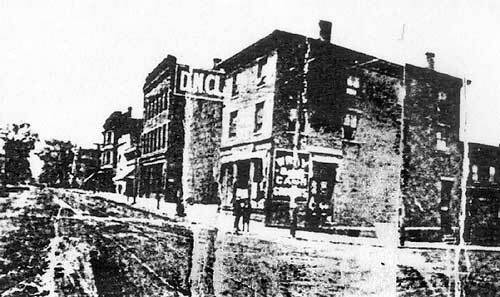 It was owned by JH Beard and he opened it in 1880. It is now a Real Estate office. 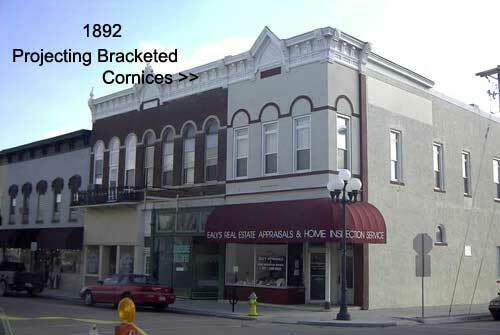 Notice the nice projecting cornice around the edge of the roof. The side of the building is red brick with white painted sash windows, yet on the back is white painted brick with red sashes. 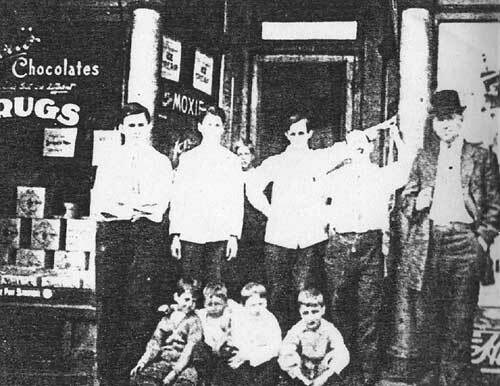 Behind the building is several other small stores. They just opened a Portuguese Bakery in one. There is also a small city parking lot in back of the building. 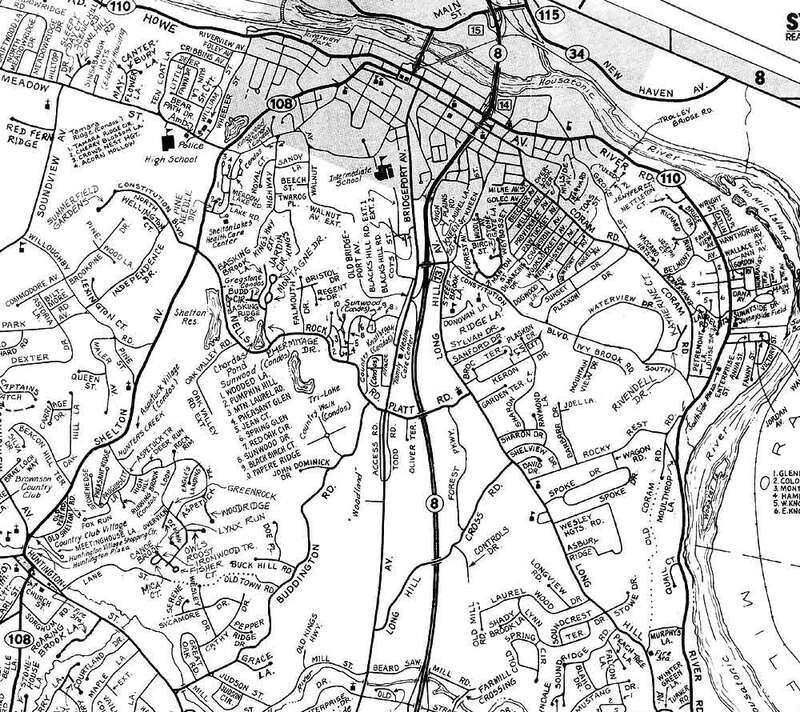 The trolley lines were first built in New England by The Derby Street Railway Company in 1888. 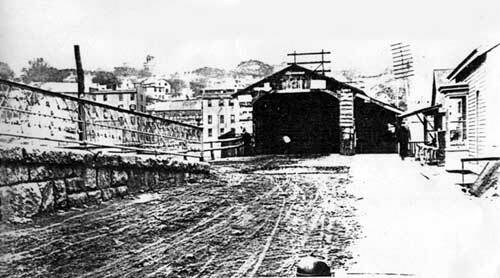 See an old picture of the covered bridge. 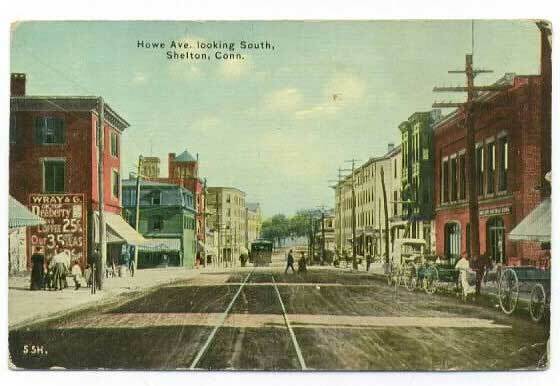 Shelton Trolley on Bridge St - The old trolley ran downtown to Howe Ave and Bridge Street. Here you can see it making a turn to go over the bridge. 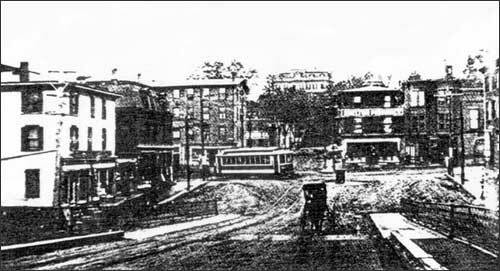 The trolleys stopped service in the 1920's and were replaced by buses. Nowadays, the bus still stops here. 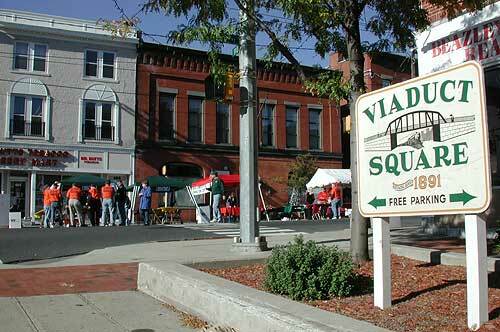 This intersection in Shelton is now called Viaduct Square and is the center of downtown and activities for Shelton Day. All of these buildings are still here except the white one on the left burned several years ago in a fire. 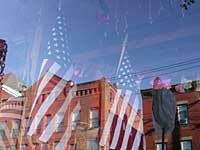 While downtown one day, I took pictures of the historic buildings in downtown Shelton through the shop windows. Looking for good reflections was like window shopping. 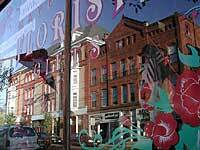 While out window shopping one day in the Shelton downtown area, I began to notice the buildings across the street were reflected in the window glass. I stopped window shopping, and started photographing the reflections I saw. 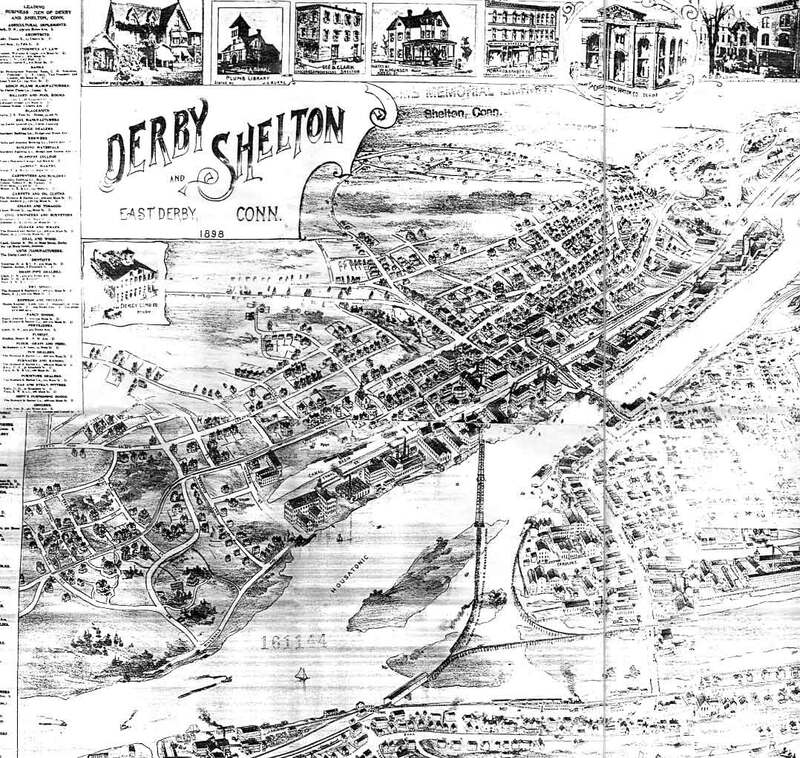 Some turned out to be interesting collages of historical downtown Shelton and very meaningful when studied. I love the special effects part of photography, and digital cameras are nice. 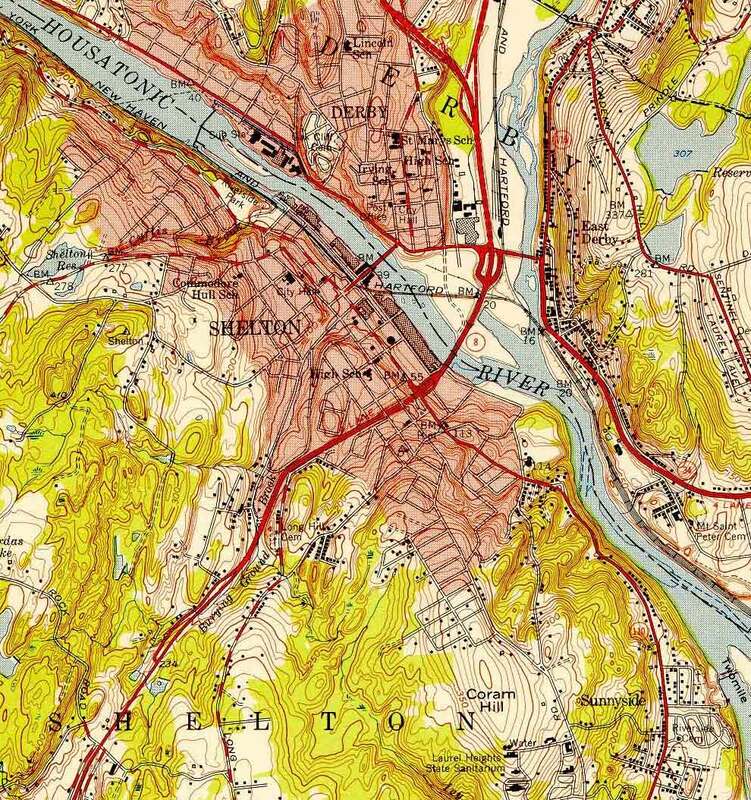 You always know where Shelton is. 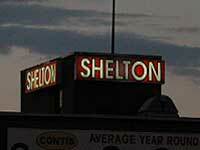 The sky lights up with a Shelton sign every night when the sun goes down. 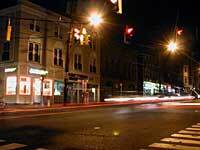 It's not easy taking pictures at night. You need a tripod. 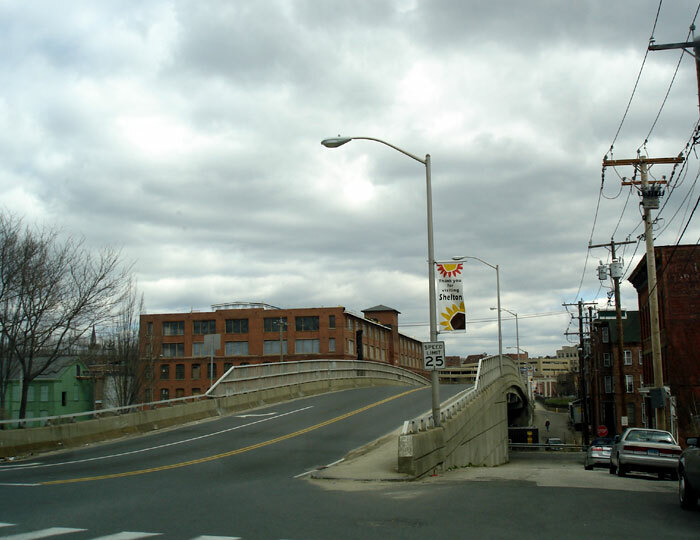 The picture was taken from Howe Avenue right next to the new Shelton Senior Center which used to be the old Huntington Piano Factory. This picture on the right is one of the memorials down on the riverfront. They light the veteran's memorials up at night and the etchings on them show up real good. There are 4 memorials. 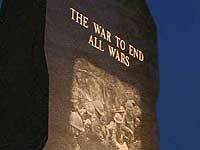 This one says, "The War to End All Wars. 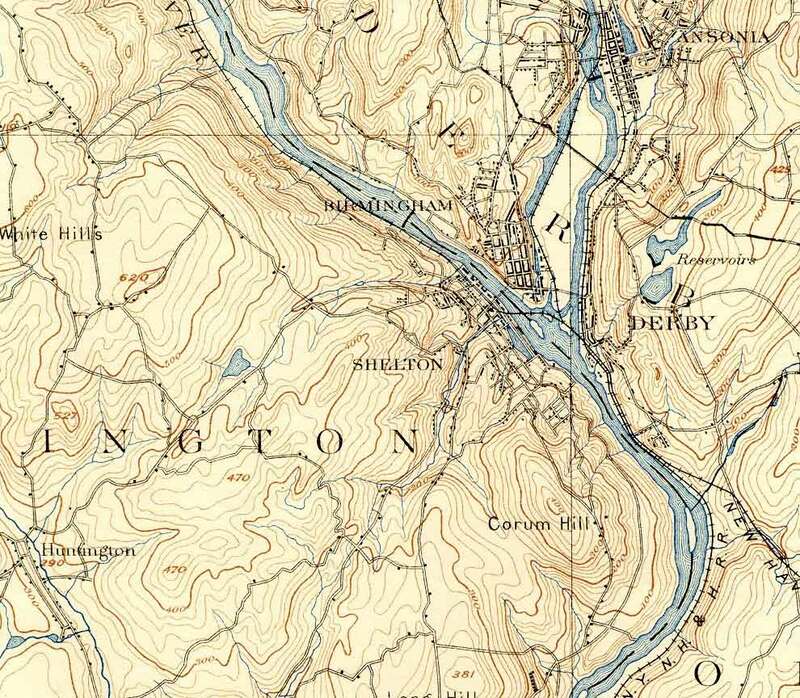 "See the dedication of the War Memorial on the riverfront. This next picture is of the walkway to the War Memorials. The sun was just setting, and it made for a very scenic picture. I'm standing right next to the war memorial, so in this picture I'm looking west toward downtown, Howe Avenue is off in the distance. 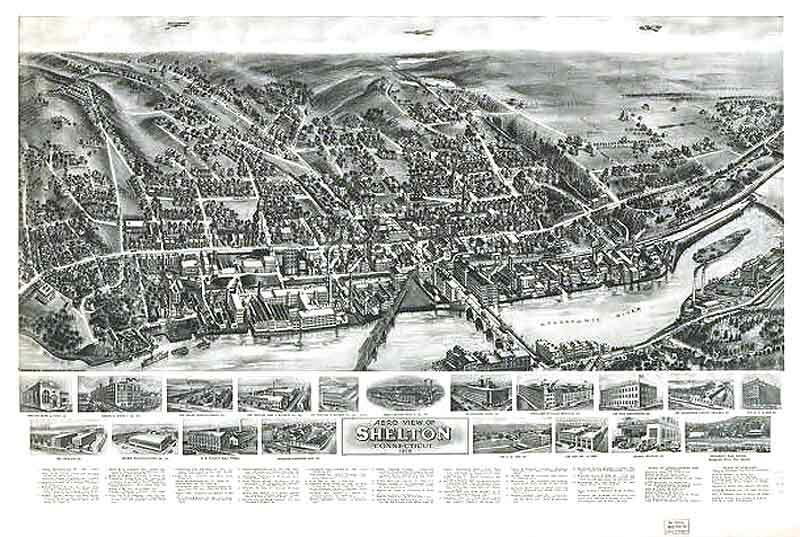 The Shelton Looms building was located right where I'm standing. 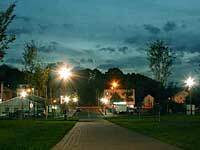 When the lights go out, Shelton still shines!